Since going blonde myself I've had a bit of a struggle with hair on my hands recently. 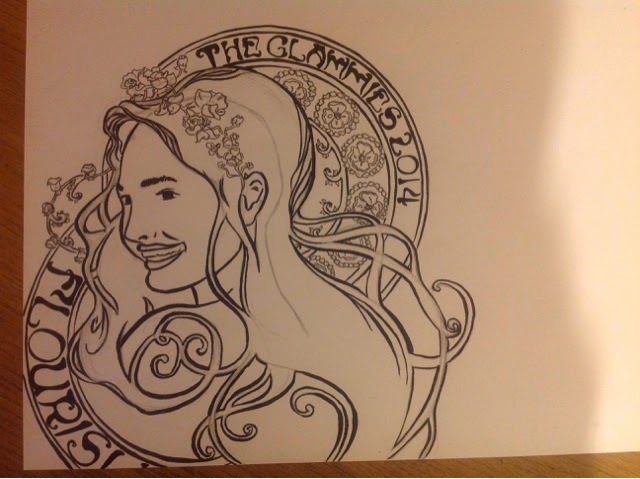 I've decided to give another flourishing art nouveau girl a go. 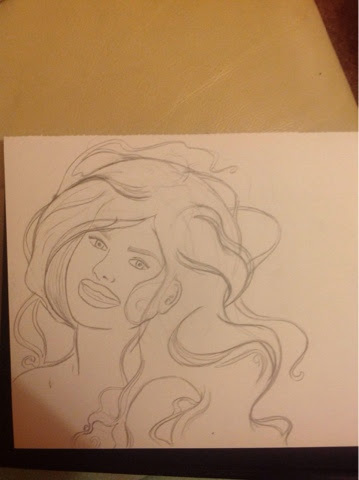 I just can't get her hair to behave! I guess I could just tie it in a bun like I do when my own is unruly. Hmmm it's the bit at the front, I've tried it with and without a fringe and I'm not getting anywhere. The top is my favourite but still isn't just right yet and I can be super fussy about this kinda thing (hair is important!) so I'm leaving it for tonight before I get to angry. Also I was thinking about it and all this figurative drawing I'm doing for this design maybe a bit much. I think I will look into some more basic logos tomorrow. So I've been working on branding work for my universities send of year show. The universities show encompassing all of the faculties is 'flourish'. The animation department however want to do something a bit different. They are considering twisting the theme slightly into 'mutation'. I've had a lot of ideas for both themes. 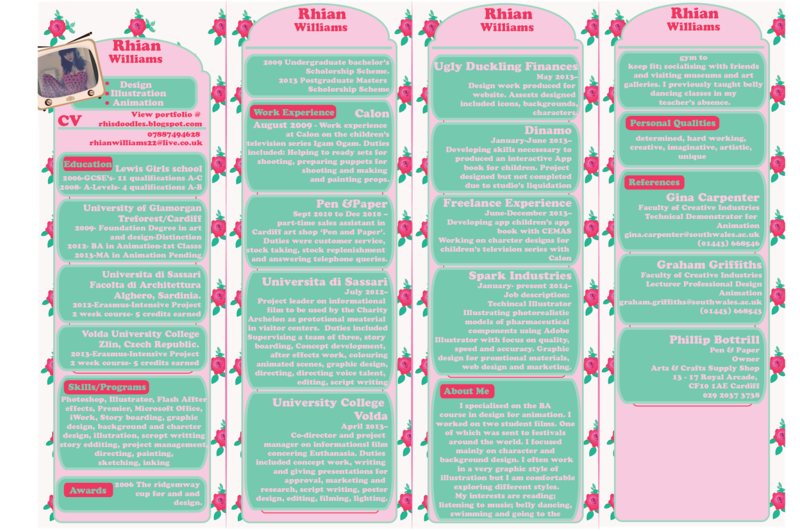 I started with flourish. My boyfriend is also working on some ideas for the uni. 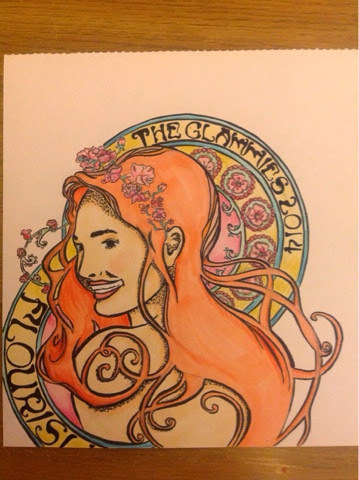 We talked about a flowing art nouveau style. 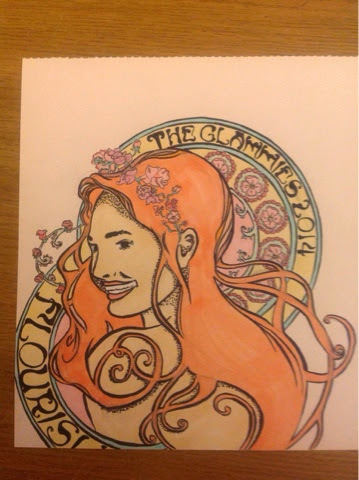 I took it quite literally and tried to create a slightly more bold and graphic version of the Alphonse Mucha style. I'm reasonably happy with the outcome, not completely. I wonder if it's too graphic, if the colours are to bold and could have done with being slightly more subtle. Anyway, these are the steps I took towards the final image. 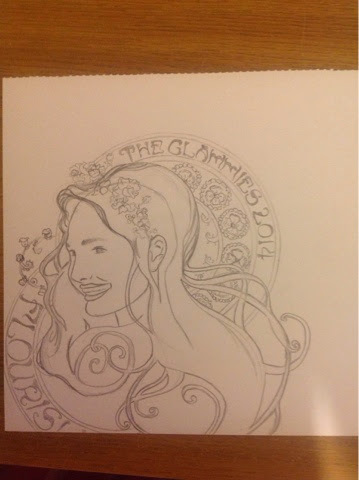 So this is the initial sketch of the layout. 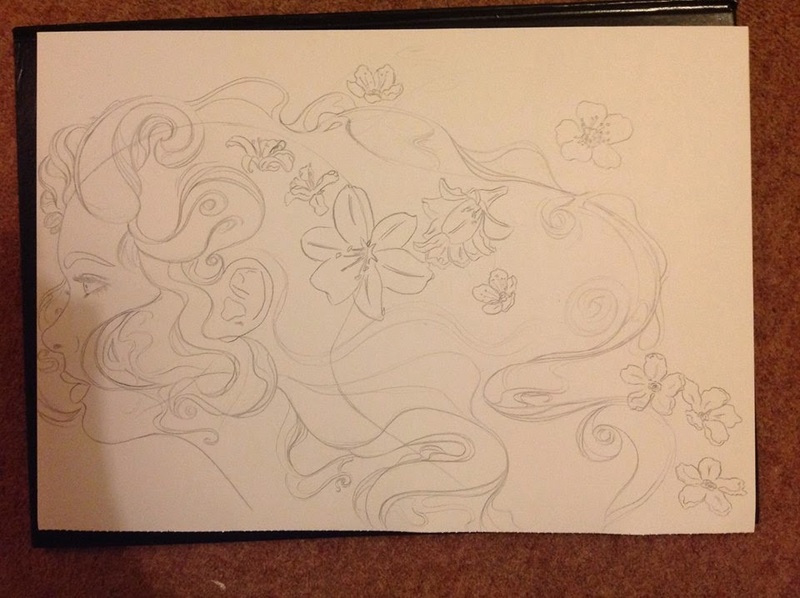 I didn't want to fill the page with a full Mucha style poster with borders and an intricate background. I wanted it to have an authentic Mucha look but I also wanted it to feel more like a logo. I added text with an authentic nouveau font. I felt that the space in the bottom corner by the girls shoulder was a little sparse. I also hadn't been able to fit the possible title of the show. 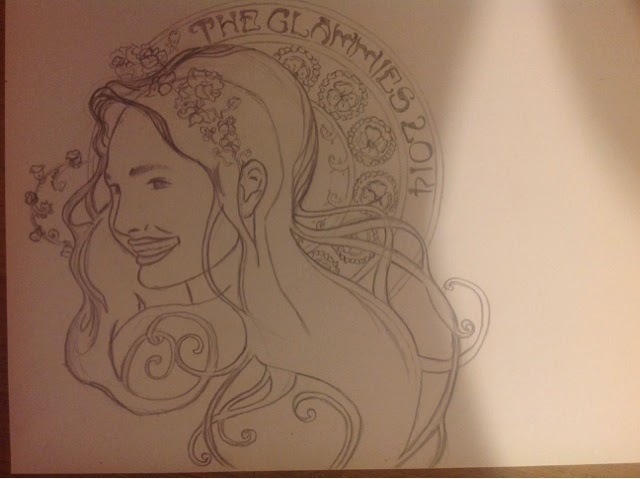 I added another semi circle which follows the curve of the hair at the bottom of the design. I inked the design using my black Japanese brush pen and fine liners for the smaller details. I coloured the design in pro and Copic marker. I kept it flat as I wanted to keep the design graphic. I gave the design a spring colour pallet as this seemed the most appropriate pallet for the theme of spring. I am happy with the colouring on the girl but concerned that the blue and the pink are too bold. They could maybe do with being less saturated. 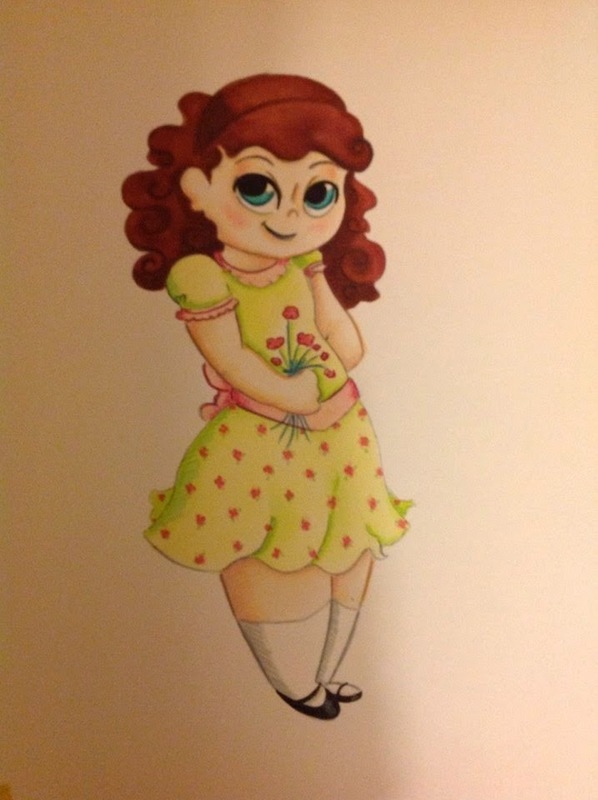 I added a little definition with coloured pencil using dashed strokes. 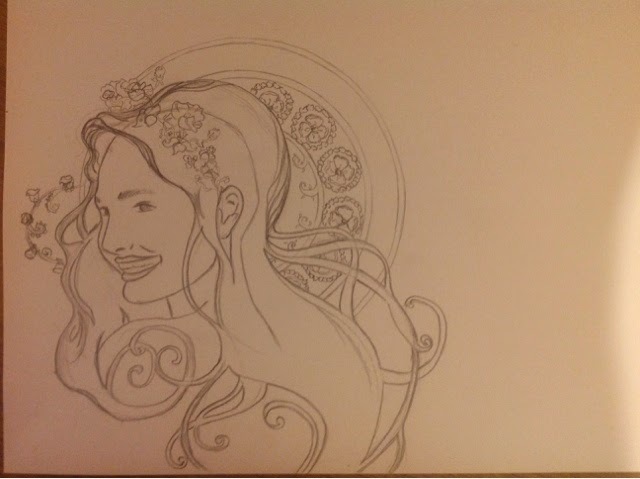 Here's the beginnings of an Art Nouveau inspired design I'm doing for my friend. 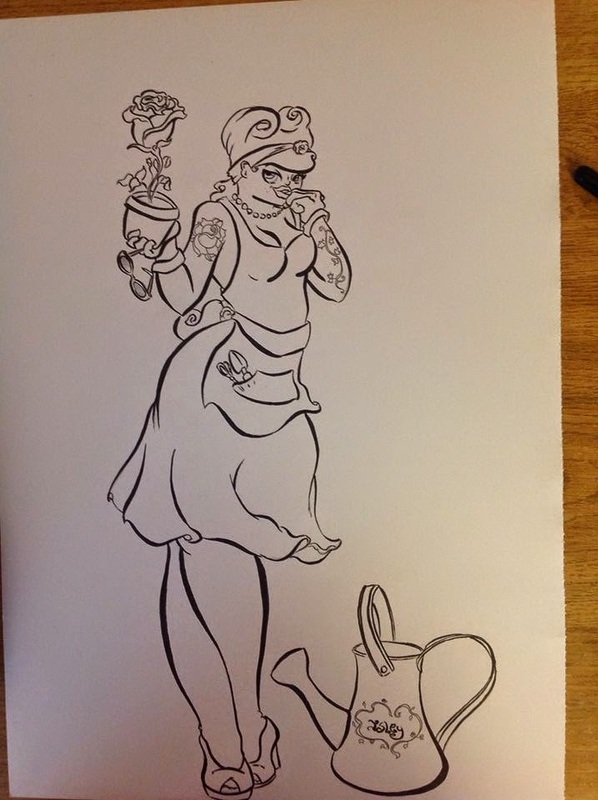 She runs a salon and needed a silhouetted design for the window that will be made of vinyl. I decided to do her one better, there's a basic version for the window but she's also getting this mad detailed one all inked and coloured up and awesome when it's done. I'm thinking birthday present. Shhhhhh! 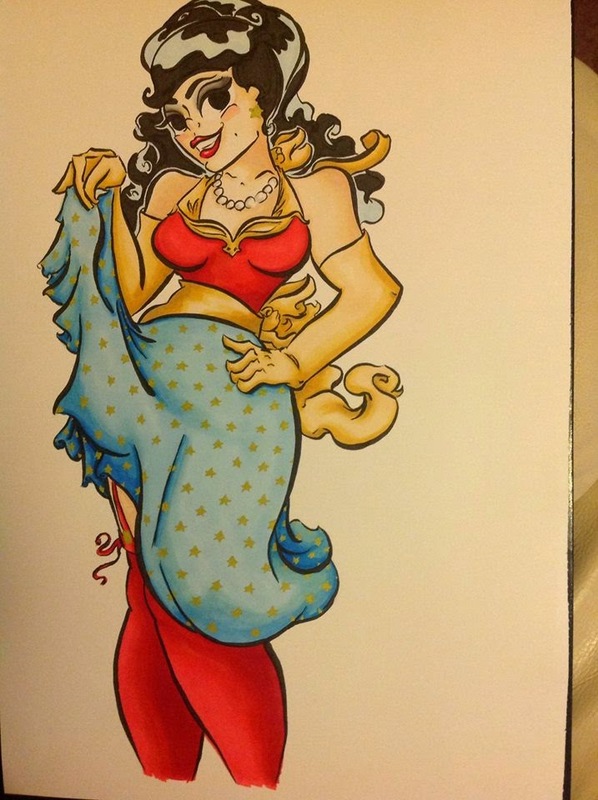 Another super inspired '50's pin up! Actually this one was done as a bit of a costume concept. Thinking of getting a table at the next Cardiff Comic con this year if I can get enough work together. Hopefully, come see me! 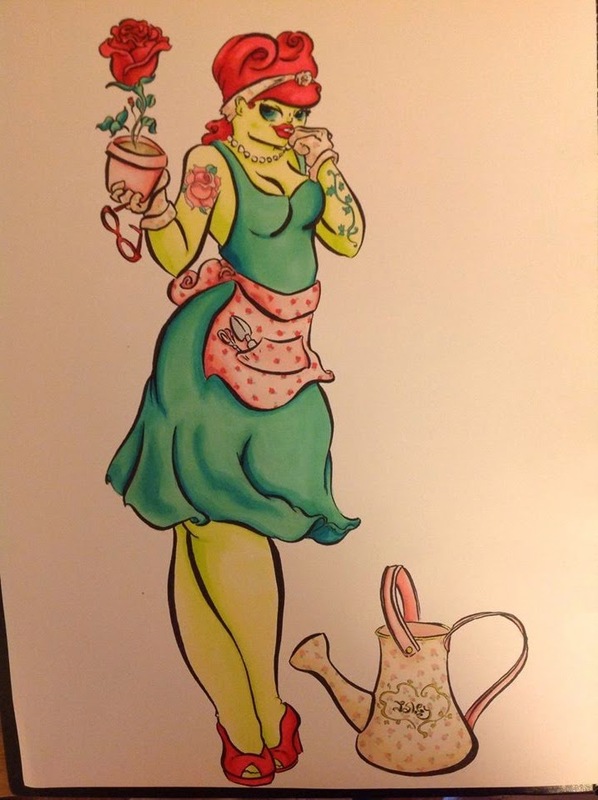 Um yep just a drawing of poison ivy as a 1950's pin up after a day in her garden. 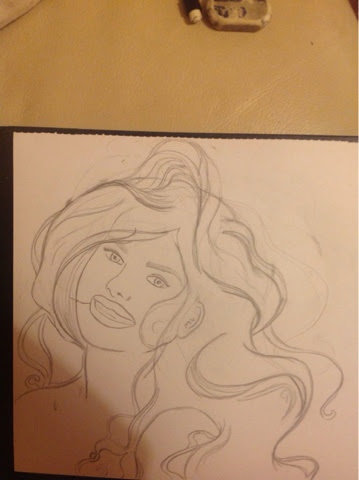 I liked it ok but I didn't get the face quite right. It looks distorted and squished slightly. Three point perspective is hard! Oh well I learned something. 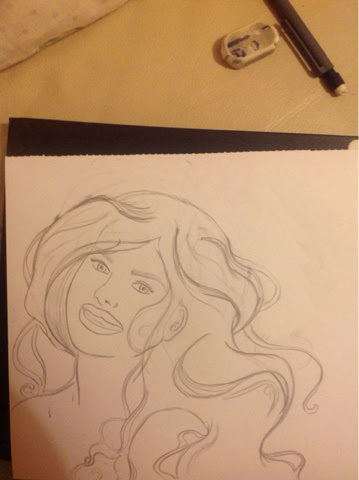 Want to try it again when I get sometime, just the head and expression. I made a card for this mothers day just past. 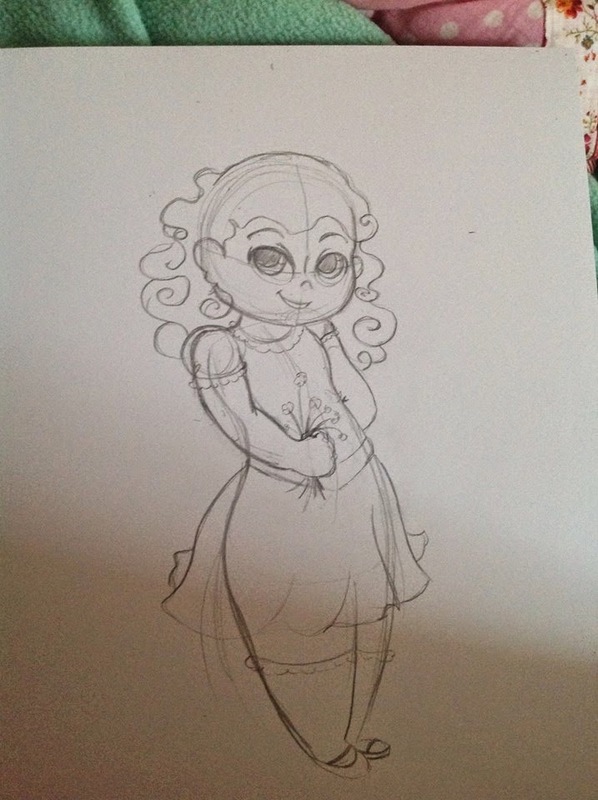 Unfortunately I couldn't find an envelope the right size to post it to Mamma Williams but as I'm traveling back to the land of sheep and rain tomorrow she'll be gettin' it then :D Can you tell that I had been looking at the concept art of Elsa and Anna from Frozen as children before I drew this? Lil' Rhi's pretty cute. Not that I look much different now.